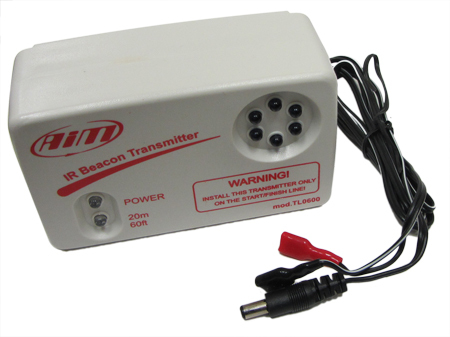 The Infrared transmitter, or Beacon as it is often called, is set near the edge of the track to trigger a lap time to the onboard system of a passing vehicle. 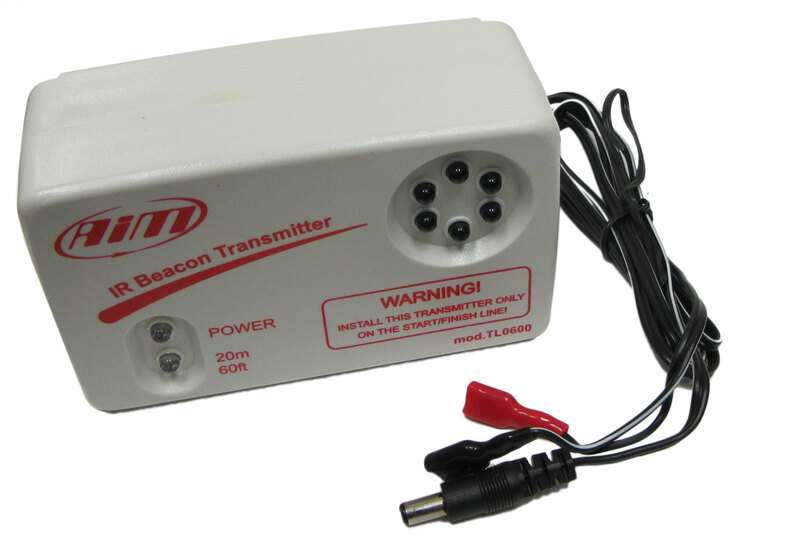 All beacons have a common frequency so one only transmitter per track is required. The beacon transmitter may be powered by the internal battery pack, composed of 8 AA batteries, or by a 12 V external power source . Q: Will this beacon work with Digatron and Mychron Tachs? 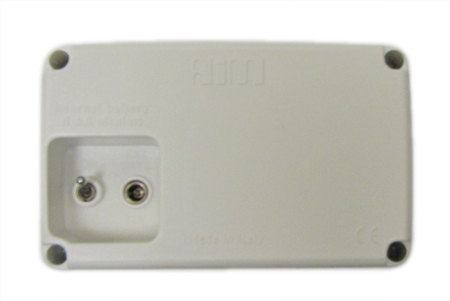 A: According to AIM, this beacon will only work with MyChron Tachs. It will not work with Diagtron. Q: Is there a owners manual for this unit? I have a used one and don't know anything about it.